The Bamboo Serving Baskets are handmade by Thai family of artisans Removing legacy, wisdom comes from ancestors east of Thailand the biggest in the world. Thailand and is safe to keep hot food because it's authentic (not a plastic). This item is very popular and it is in the top-pick from shelf at world class department stores in Bangkok Thailand. You may not find some of this item at your local store due to its limited color, flavor, type only from Thailand. A friend of mine from other countries have bought huge lots back to their home. 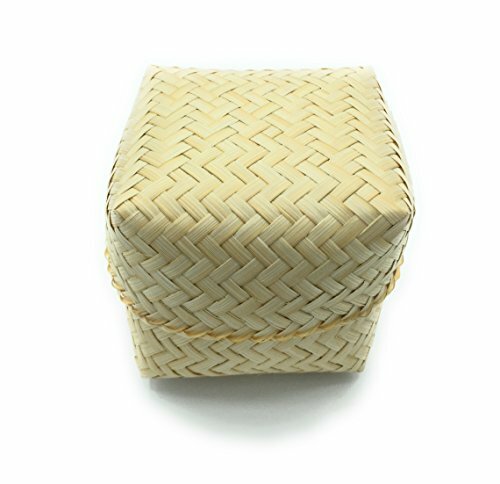 100% Natural handwoven sticky rice serving baskets.Eco-friendly non-toxic food safe boxes.